Product prices and availability are accurate as of 2019-02-22 17:41:18 EST and are subject to change. Any price and availability information displayed on http://www.amazon.com/ at the time of purchase will apply to the purchase of this product. 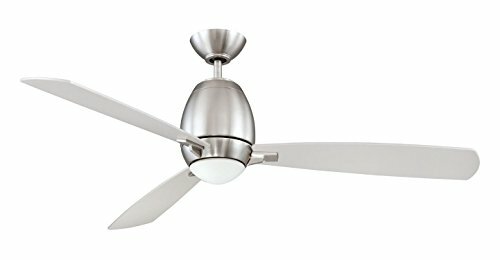 Kendal Lighting AC18952-SN Quattro 52IN 3-Blade 1LT Ceiling Fan will accent your decor with updated style. The sleek Satin Nickel finish are accented by Silver blades and completed with a White Opal glass integrated light kit. There is a metal cap for non-light, as well. The included full function remote control operates the 3-speeds, reverse, and light dimming. The AC18952-SN is 52IN blade span and a 14-degree blade pitch. The AC18952-SN comes one per package, and includes one (1) 75W halogen lamp. Longer downrods are available to purchase separately if desired. 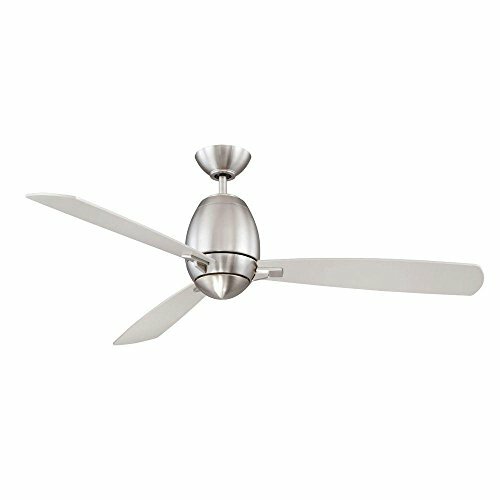 Ceiling fans should be installed with a minimum of 18IN clearance between a wall and the blades if space is tight. Kendal Lighting Inc. was established in 1985 as a leading edge Ceiling Fan provider bringing new designs to the marketplace. Our catalogue of lighting ideas has since expanded through the consistent addition of new and innovative products. Today, Kendal Lighting quality and design can be found in many areas of Lighting including Fans, Fixtures, Lamps, Track Lighting and Rail Systems.